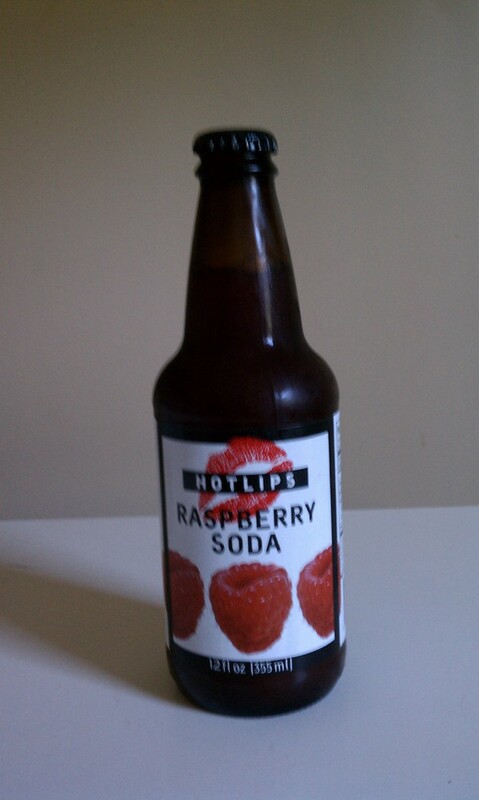 This is my review one of two for Hotlips Soda from Portland, Oregon. They sent me a nice sheet of information along with this soda and a bottle of their blackberry soda as samples. There are three things I know about the Northwest: they have great fruits especially berries, they are home to the great Rogue brewery, and home to a kickass donut company called Voodoo donuts. That all being said the Northwest has some great food and drinks. This soda is very unique it the first soda I’ve seen that keeps the real fruit pulp inside the soda and do not worry about trying to make each batch of soda constant. The pour was the very first thing I noticed about this beverage. The hue of a cloudy red-pink soda whirled into my pint glass and fizzed up and held a nice level of foam on the very top. The smell is very strong of just fresh berry smell with the tartness that raspberries are known for tickling my nose. The cloudy beverage confused me at first until I read the bottle and saw that it contained raspberry pulp, which is really cool. The thicker texture was also unique and lent to a very soul satisfying gulp. It was less sweet than typical beverages and had just a touch of citrus notes on the back of my tongue. Yes. You know its funny me and my sister had the exact opposite opinions on a lot of beverages. I think this is what real fruit sodas should taste like. She on the other land would rather the artificial clear sodas over something that tastes like it should. So in the end, I loved the real raspberry, the less sweet sugar levels, the thicker texture, the bottle, and the overall taste. I cannot wait till I try their other beverage they sent me later this week.